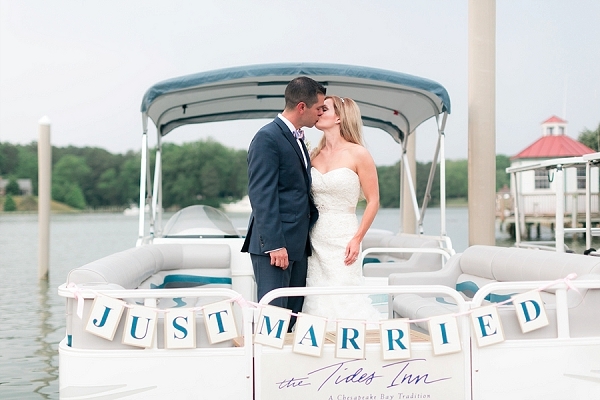 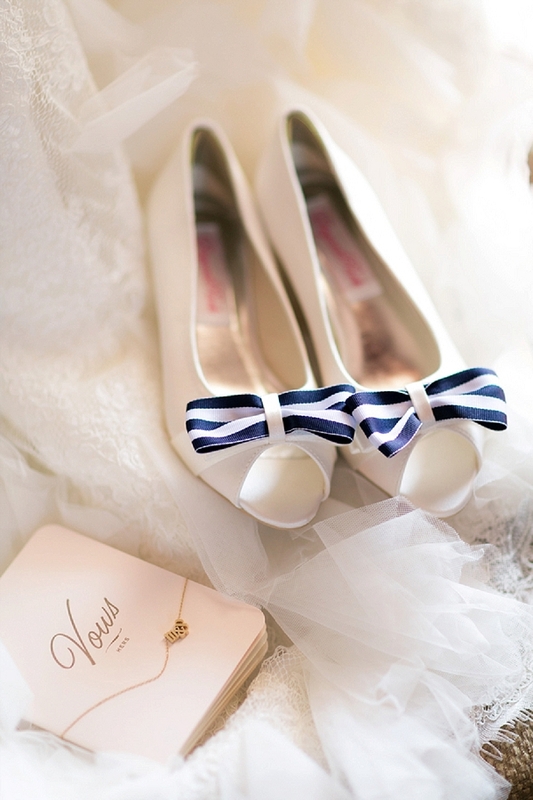 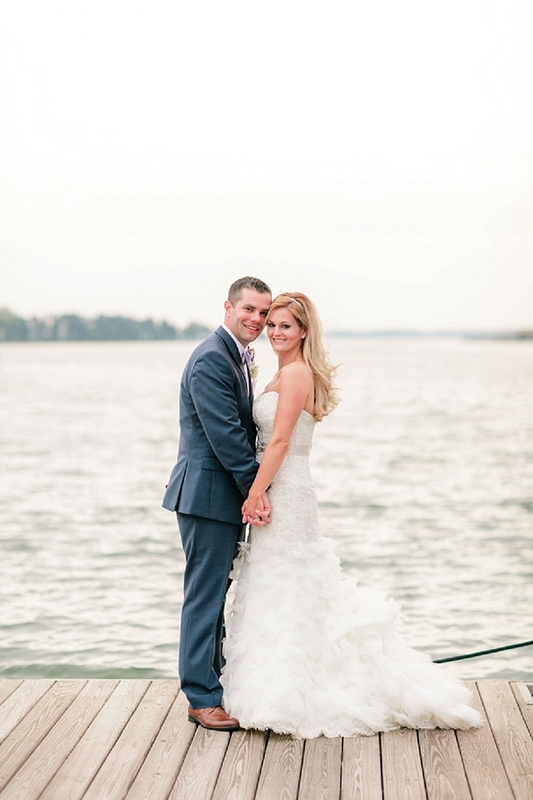 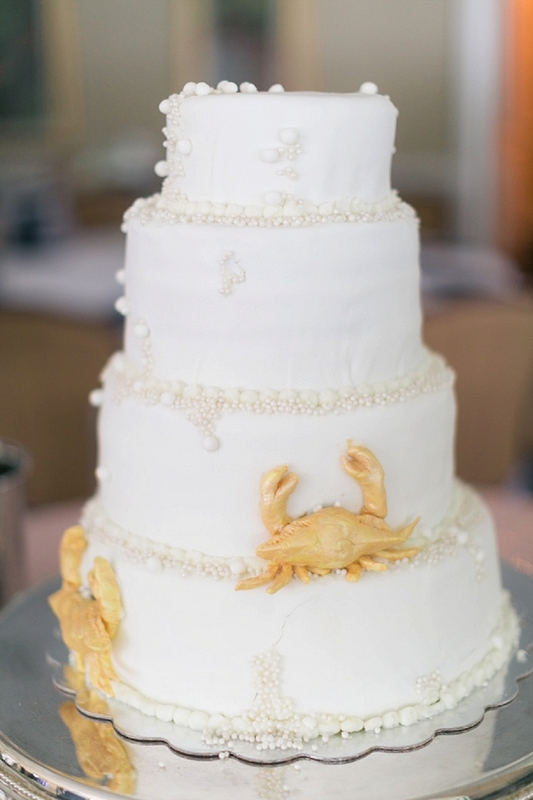 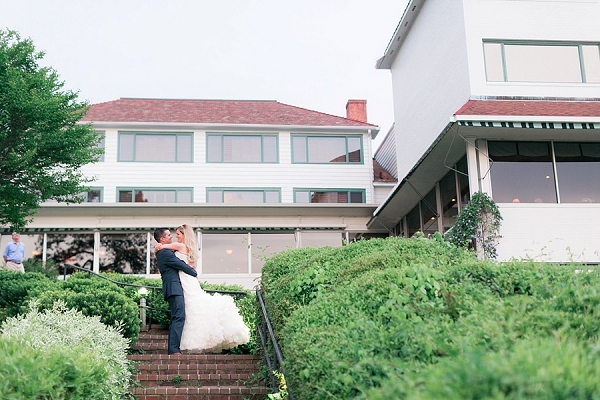 Paige and Matt's nautical wedding at The Tides Inn features so many details that make coastal Virginia so charming – beautiful rivers, delicious blue crabs and oysters, and the navy and white stripes that appear throughout the day. 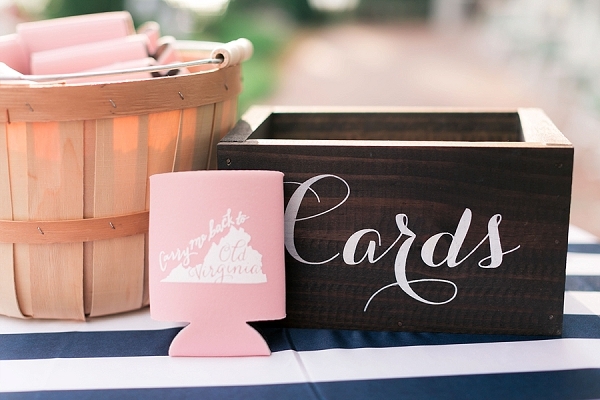 These two lovebirds planned their day after the memory of barbeques, bonfires, and the sunny weather of the region. 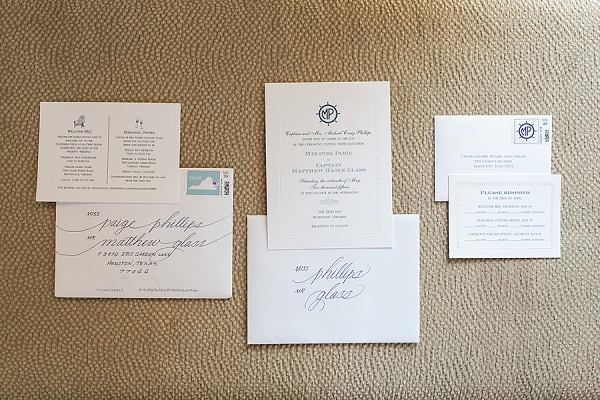 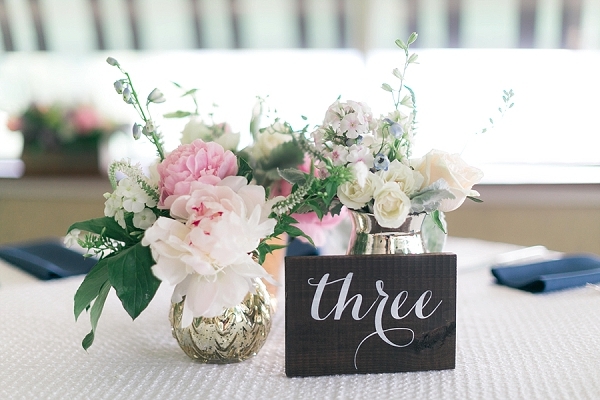 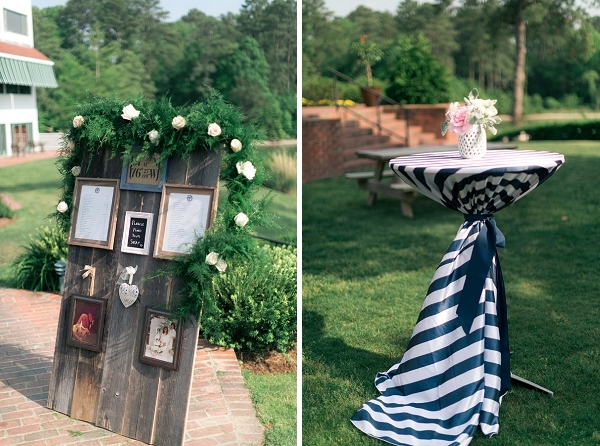 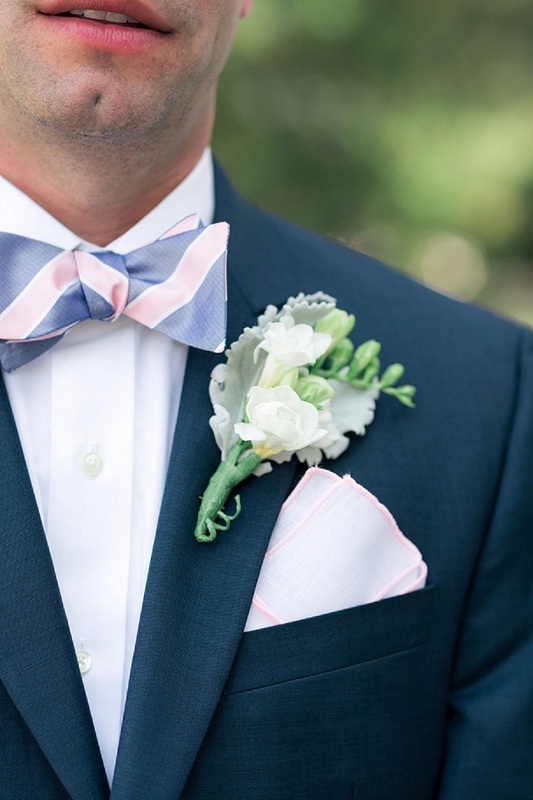 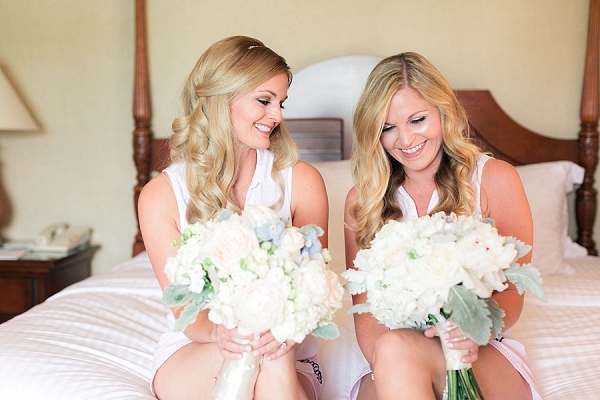 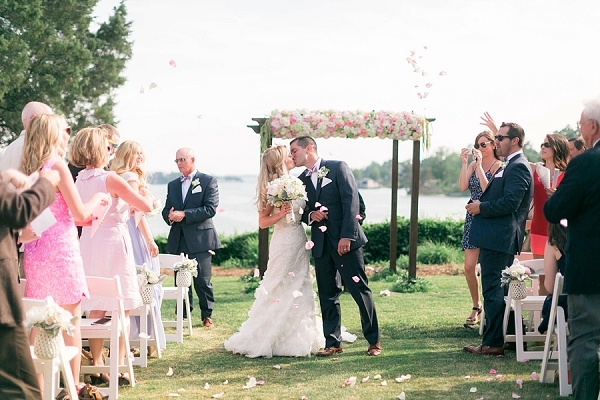 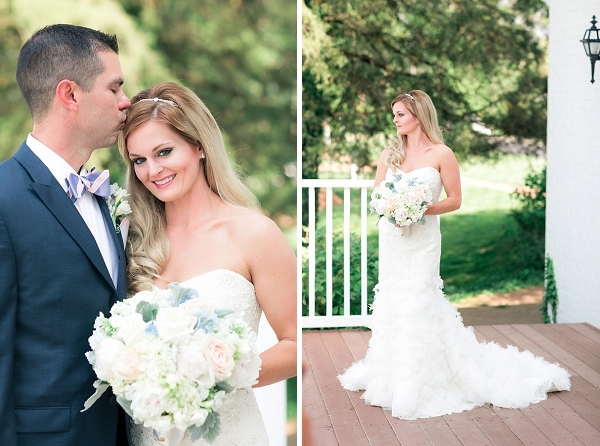 We love their East Coast Preppy meets Southern Charm theme! 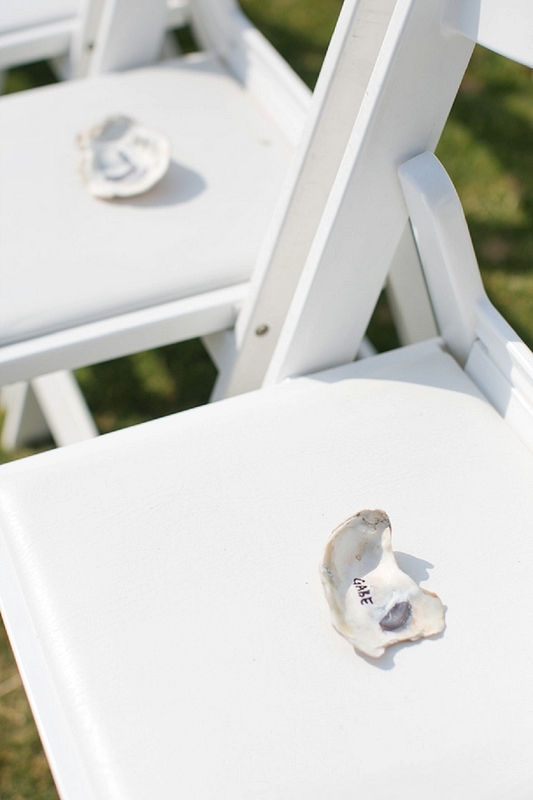 Some of our favorite details in this wedding, captured by Melissa Arlena Photography and planned by River Weddings and Events, include adorable oyster shell place cards, a classic white cake with golden Chesapeake Bay crabs in sugar form, a special board featuring wedding photos of the couple's parents, and even the adorable chic Virginia-lovin' koozies. 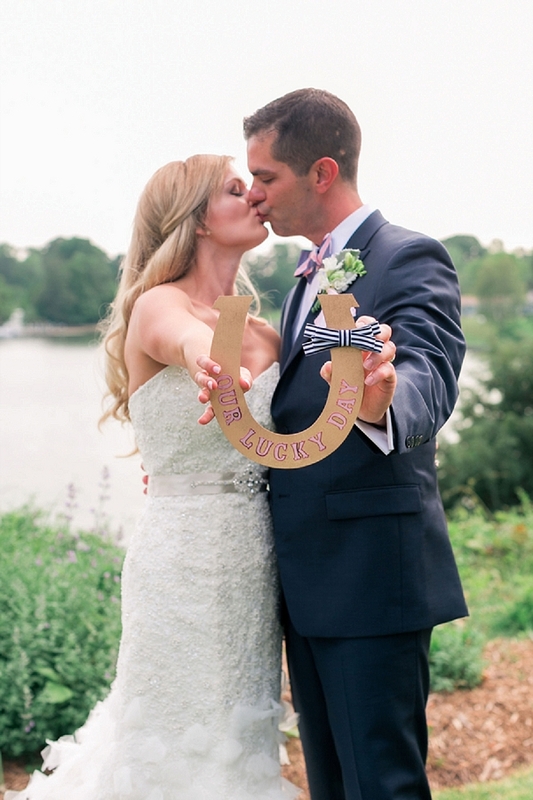 And you can't miss the 007 agent who made sure the rings made their way safely down the aisle!